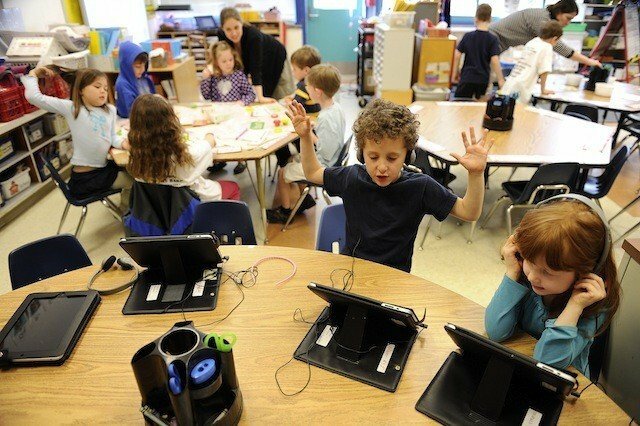 Look out…iPads and similar mobile devices are coming to a classroom near you. K-12 and higher education facilities all over the country have implemented solutions such as BYOD (bring your own device) and 1:1 (1 device per student) to help bring wireless technology in the classroom like iPads. iPads can make very effective learning tools, offering students more personalized and engaging education than ever before. So, the question for most schools isn’t whether to integrate these fantastic mobile devices into schools, it’s how to do it in the most effective and successful manner. That’s why I feel it’s important to cover these 10 Do’s and Don’ts of implementing iPads in the classroom (and other mobile devices). 1) Do prepare your school wireless network. The first and most essential step to preparing for the iPad in the classroom or other mobile devices is that you must to evaluate your current school wireless network infrastructure. iPads require a strong and reliable connection, so you will need to test your signal strength. Make sure your network can support a large volume of mobile devices connecting at the same time while still distributing the signal evenly and reliably. If your network can’t successfully support the iPads then what’s the point of having them anyways? 2) Do consider mobile device management (MDM). It really is vital to have an MDM solution for your school when bringing iPads to your school wireless network. When bringing these devices into the classroom, your IT staff needs MDM to control provisioning, access, security, integrity, and every other IT element that keeps your school wireless network and students secure and safe. 3) Do address security concerns. New mobile devices create new challenges for IT departments ranging from new sets of securities, configurations and management. All these new devices, users, and apps will cause a whole new series of threats that traditional firewalls just can’t cover. Therefore next generation security is a must since it stops threats, helps conserve network performance, and prevents data leakage. It incorporates firewall, intrusion prevention, and application identification and control. 4) Do train and prepare students. This one is easily forgotten since we all expects this generation of little digital natives to just take to new technology like a fish in water. Although this may be the case for many of your students, some students will still need some training. Luckily iPads are pretty easy to use so students should catch on quickly when it comes to learning the primary uses and functions. The part educators need to pay attention to for all students is making sure they know how to find and filter information. iPads make a great information resource as long as students know how to properly find and use that information. 5) Do consider centralized management. When upgrading your school wireless network for implementing iPads in the classroom, your wireless network system will be more complex and consist of hundreds of access points. Therefore, you will require a smarter way of managing all the access points within your network, specifically, centralized management. You want your IT staff to only have to make updates and configuration changes only once and the system updates all access points across your network. This will help things move a smoother and ease a lot of burden on your IT staff. 1) Don’t use them without a plan and purpose. Yes, iPads are great learning tools, but not when usage is unplanned, arbitrary, and often an afterthought. 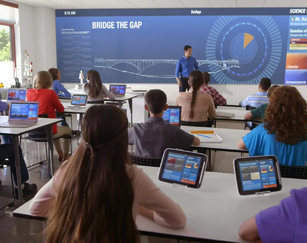 For successful classroom technology integration of tools like the iPad, it is important for educators to understand how to assimilate these devices into their teaching and not just use them sporadically just for the sake of using technology. I’m not saying using their iPads in the classroom should be their main focus, but it should become a routine part of the classroom environment for successful integration. 2) Don’t forget to budget for apps. With the already tight education budgets, this is a part of the planning process you don’t want to forget about. Don’t be one of those schools that forget to allocate funding for apps. Some schools create an annual budget others, by semester, etc. Whichever way your school chooses is up to your school, just make sure you have a budget. Actually Apple’s apps store has a volume purchase (VPP) plan that allows educational institutions to purchase iOS apps in bulk and then dole out apps to their users. This can save your school quite a bit of money. As important as it is to have a plan and a purpose when using these mobile devices, it’s also equally as important to make sure your teachers have been properly trained to use the iPads in the classroom. Before giving iPads to the students your teachers must be comfortable using them first. You don’t want your teachers spending more instructional time learning how to use the technology than using it to actually learn. You want your educators to be knowledgeable and adequately prepared to support curricular goals and learning objectives. Now if that means training educators throughout the summer and through the beginning of the fall, so be it. IT’s vital to the success of your schools iPad integration to have well informed and prepared educators. Having role based access control means your system will have directory services integration and be able to assign roles to users, such as student, teacher, etc. Then use that information to segment user groups based on role, and limit what they can access. You probably don’t want to allow your students’ access some of the same things as your teachers like access to the internal servers. 5) Don’t just use the iPads as a tool to deliver information. I know I talked about iPads being these great informational resources earlier in Do number 4 and they are, but this should not be their primary use in the classroom. 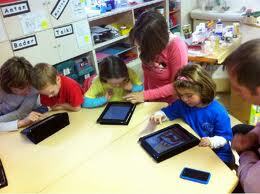 You want your iPads in the classroom to be used to construct and build knowledge. Don’t just deliver content, get students engaged with it. Use them to encourage collaboration inside and outside the classroom. Using them to let students look up stuff on the internet is great and all, but if that’s all you are doing, you are not utilizing these devices for what they do best which is enhancing engagement and collaboration. All of these “do’s” and “don’ts” are important considerations for every school implementing iPads in education or similar devices. If I had a “Do” number 6 it would be to carefully select your wireless network vendor. Interview multiple wireless network vendors in depth to get a good evaluation of whether they can address your schools specific needs. You want someone who specializes in school wireless design and provides a total solution that is scalable so your school is prepared for the future of wireless (which we just so happen to do I might add). By selecting the right school wireless design specialist you can embrace your iPad implementation program with confidence. Here at SecurEdge we can help you design the perfect iPad implementation plan for your school. We have worked with schools all over the United States and are experts in designing wireless platforms. If your school is considering implementing iPads in the classroom, please feel free to contact us here with any questions you might have. We are always happy to help.